Hello. Welcome to “Producers… What is this?” lecture about a new Korean Drama. My name is Prof. AKIA to those who are new. 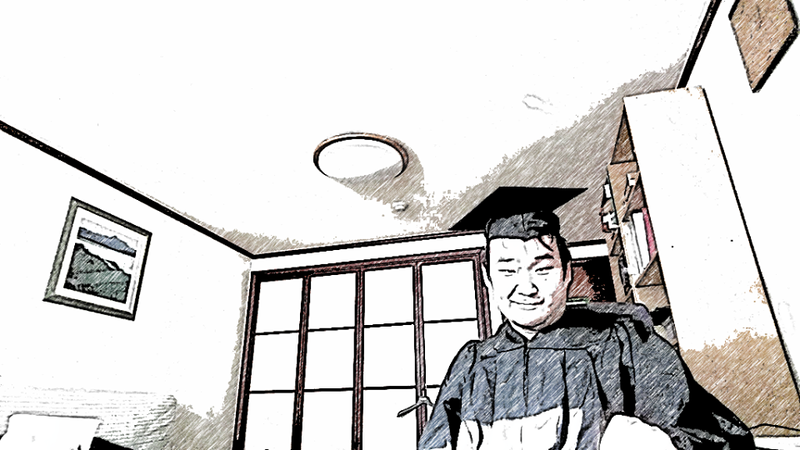 I talk and review Korean Dramas. 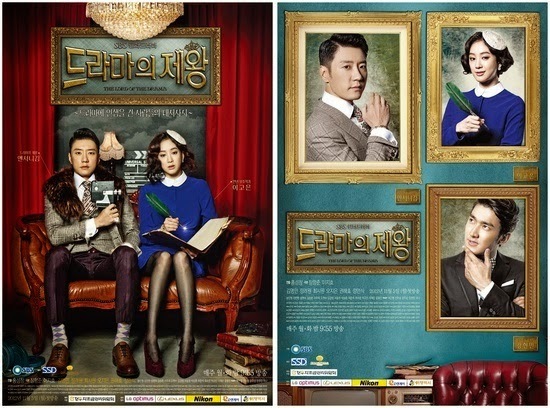 Today, it is all about the new Korean drama “Producers/ 프로듀사”(2015) after watching the first 2 episodes. More accurately, it is “Producaaaaa”. It is a Korean word pun. There have been a few Korean dramas about the entertainment industry in Korea. Not many but some interesting few exists. Examples would be “King of Drama” (2012), “The World That They Live In” (2008), and “On Air” (2008). If you think about it, all of these dramas are very different in tone. 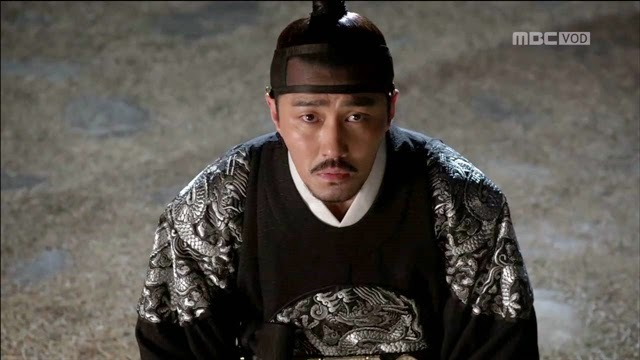 “King of Drama” (2012) is basically an edgy “dramedy” with an anti-hero at the center. “On Air” (2008) is more your traditional trendy ensemble romance drama with slight hints of seriousness. “The World That They Live In” (2008) is a dry drama about the working stiffs within the industry. Where does Producers (2015) fall into you ask? This is somewhat of a difficult question to answer from only watching the first 2 episodes as there have been some important changes from one to another. Generally, Producers (2015) falls more into the “The World That They Live In” (2008) camp of dry drama which is reinforced by the whole “Mockumentary” technique being used. We’ll get to that whole thing later! However, at the same time, it also has comedy and romance elements of the other camps which become more prominent in episode 2. Not only is the definition of the show complicated but describing the basic plot is also complicated as the show feels scattered and without a strong narrative focus. This in itself is not totally a bad thing. Does the picture form in your head? From this image, you can infer that Producers (2015) is more of an ensemble show. This means that there is not exactly a main protagonist as all 4 main characters are the show’s protagonists. However, there is an “audience stand-in”, character who helps us enter the professional and personal world of the show. 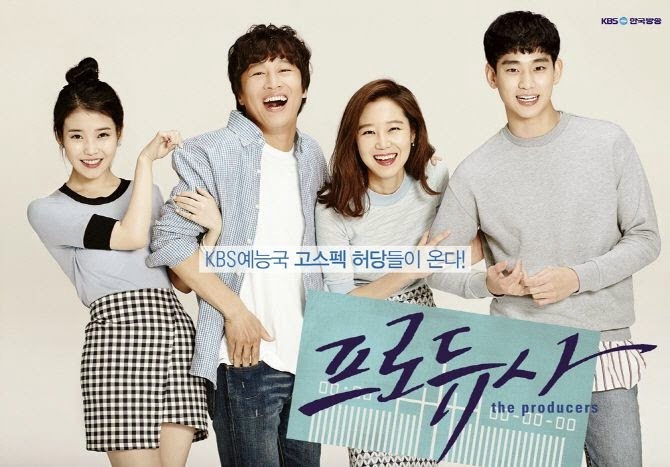 Producers’ “audience stand-in”, is Kim Soo-Hyun’s (김수현) character. Whether an “audience stand-in” character is needed for a “Mockumentary” style show is debatable. Whether the execution of the “audience stand-in” character was done well in Producers (2015) is far less up in the air. It was not well handled! We call his character in the Korean army the torturer! Basically because he get everyone in trouble. The show starts with Kim Soo-Hyun’s (김수현) character starting his first day as the new PD at a Broadcasting company’s variety show department. The term “PD” is used fast and loose in this show which oddly reflects the industry reality correctly. In any case, back to the plot. 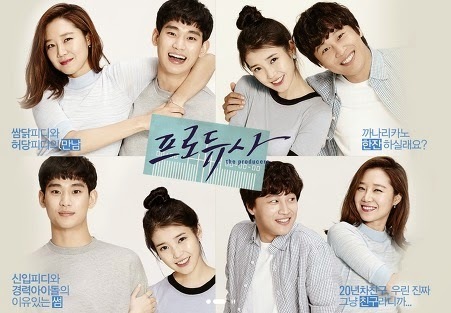 Then the show splits focus between him as an idiot newbie and 3 other disparate main cast members played by Cha Tae-Hyun / 차태, Kong Hyo-Jin /공효진, and IU doing their own mundane choirs of, running shows, following bureaucratic and being a Kpop star in the case of IU’s character! With the rise of “reality” TV and “Found footage” Movies, the “Mockumentary” technique gained popularity. In TV, the popular examples of this is “The Office” (2005-2013) and “Modern Family” (2009-). However, the two are actually very different in their levels of adherence to the technique with the “The Office” (2005-2013) being relatively more strict than “Modern Family” (2009-). The “Mockumentary” technique uses two general techniques with one being the “Act like that camera is not in the room” technique and the other being the “Confessional” interview technique. “Modern Family” (2009-) only really uses the latter. In the case of “Producers” (2015), it uses both angles of the “Mockumentary” technique in the vein of “The Office” (2005-2013). And I am not sure it really works. I think the show knows it too since the second episode has far less of it. Or, and more likely, it was too much of a haste. The “Mockumentary” technique is a more stylized approach to “4th wall breaking”. It lets the show directly talk to the audience while still pretending not to. It is not a technique to be used “Willy-nilly” as it does alters the relationship between the audience and the art being observed. If used poorly, it could damage the suspension of disbelief the audience needs. With “Producers” (2015), the show uses both angles of the “Mockumentary” technique. In other words, it has a “in world fictional” camera chasing the characters around filming an actual “in world” documentary for some reason in addition to inserting “confessional” interview scenes throughout the show. In other words, they are going in deep! You can more easily get away with just interview inserts. The problem is that the show takes the “Willy-nilly” direction to this as they. There is have no real strict rule and logic to how the a “in world” camera man is used. For example, the camera man is frequently at locations where he/she should not be at logically. The execution is rather clunky. 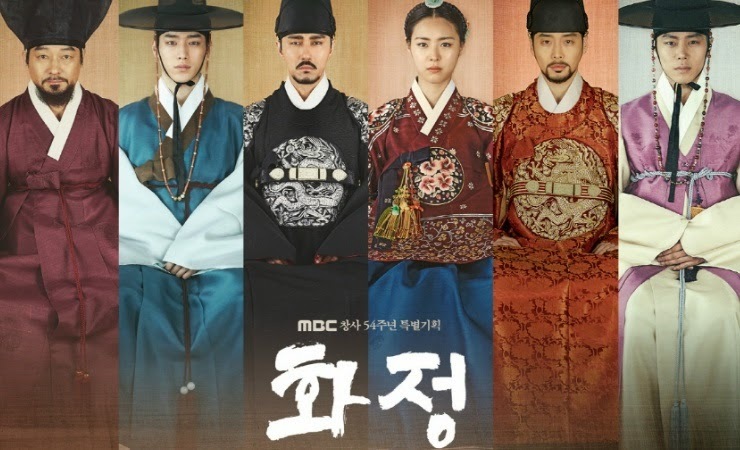 Also, the show also uses standard Korean drama “behind the 4th wall” scenes which rather mixes up the show with 3 types of technique all jumbled together. If the “Mockumentary” technique was an infrequent gimmick, you could just skim it over. However, there is a lot of it in the first episode. It is a relief that the second episodes lets up! At this point, you have to ask yourself the following question. Is it at least worth going through this whole haste at the end? I’m not sure at this point. It is at least refreshing that a Korean drama is trying new things. It could also provide a more realistic feel to the show and let the writer provide more insight into the characters and the industry setting. However, considering how the show is utilizing it, the whole “Mockumentary” thing feels more like a gimmick that could get old fast. It seems to be just a device to deliver jokes while pretending to be serious at the same time. You have the “in world” camera man scene set up a joke while the “Confessional” interview scene delivers the punch line. You do not get much character insight through them. This is repeated multiple times during the first episodes and not only did most of the jokes not really land but it got repetitive fast. 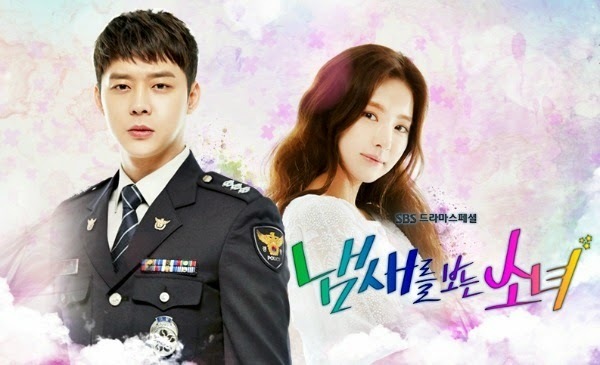 Ultimately, the show is no more insightful than your standard Korean drama romantic comedy which is the key to answering the question of whether it was worth it. However, this does not mean the show is terrible. Until this point, I talked mostly about the whole technical weird stuff the show is trying out. This is because the first two episodes I saw especially the first one were just setup filled with a series of exposition scenes and monologues. Since “Producers” (2015) is basically a dry “slice of life“ work place ensemble show, it needs to pick up momentum before actually getting interesting. So, do not expect a riveting hour of TV! However, there are some amusing stuff in there. Learning about the behind the scenes stuff is interesting albeit only a little bit because the coverage is too light. In comparison, watching the “characters” going about their mundane day has more potential. How much is all on the actors’ shoulders. Can they hold the attention of the audience even if they are just reading a phone book? They will need that ability! In this regard, “Producers” (2015) is somewhat mixed. Cha Tae-Hyun / 차태현and Kong Hyo-Jin /공효진are interesting enough actors to handle just being given exposition and monologues. 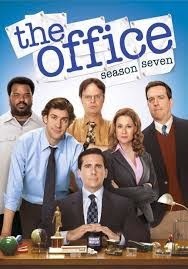 Even the supporting actors are decent overall just shuffling around and spouting out “office speak”. The problem is with Kim Soo-Hyun / 김수현and IU / 아이유. They simply cannot do the same. They are extremely flat in the two episodes I’ve seen as if it was their first time at this job. However, I cannot totally blame the two because they are actually given less to do than either Cha Tae-Hyun / 차태현and Kong Hyo-Jin /공효진. Their characters are extremely underwritten especially IU’s role. Like many actors of their generation, these two have very little range in terms of their acting. They can basically do one thing or two decently. That is the reason they got to be on screen, In the case of “Producers” (2015), what the show wants is not what they have. Will I keep watching the show? I am not sure at the moment. Objectively, “Producers” (2015) is not a terrible show relative to most recent Korean dramas. I enjoyed it more than the first week of “Misaeng” (2014). This means I was able to get through the first two episodes. A lot of shows cannot claim the same! 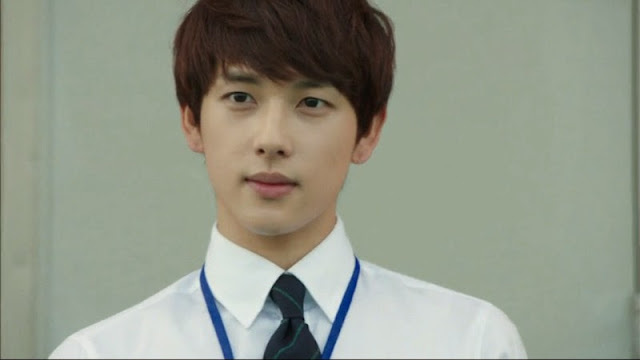 However, I am biased against “Misaeng” because I hated Si-wan’s (시완) character in that show. Producers (2015) also has a terrible character played by Kim Soo-Hyun / 김수현. He is passive and a huge moron to the degree that I sometimes think he is mentally retarded on the level of “Forrest Gump” (1994). IU’s character does not help the situation but there is barely a character there anyway. Thankfully, Kim Soo-Hyun’s (김수현) character is just one of many here. However, I still made it through and the second episode, which seems to shift towards a more of standard Korean drama compared to the first episode, was a slight improvement. The only thing I can say at the moment is that there is some potential here. Overall, I give the first 2 episodes of the new Korean drama a B- grade. Thanks for coming to my lecture about the first 2 episodes of , “Producers” (2015). Please comment below and share the word to your friends. This was Prof. AKIA talking.